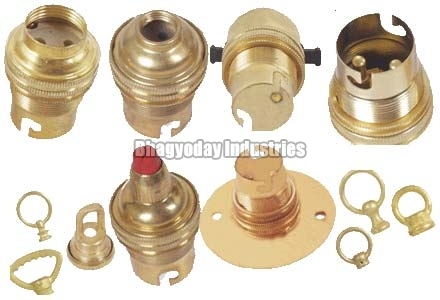 Being a distinguished Manufacturer and Supplier of Brass Light Fitting Parts, we endeavor to achieve 100% customer satisfaction. Our wide range is manufactured using first-rate raw material. We meet the highest standards and parameters of quality set by the industry. Designs are made keeping different specifications in mind. Their optimum performance, efficient design and longer service life are available for economical prices.